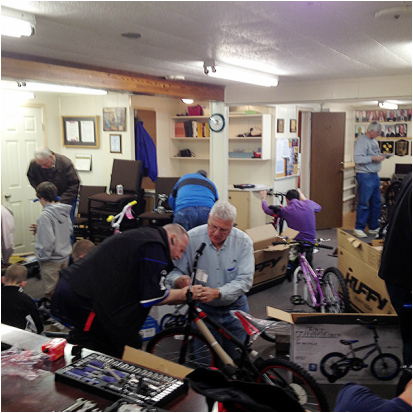 This will be the four year that we have spearheaded the "Bike Builders" event at the POP Knights Council #9184. Last year we were able to purchase and assemble 32 children's bicycles which were distributed thru St. Vincent DePaul at POP. This year we shooting for 40 bicycles!!! This project is in our budget but we do not have enough funds allocated to purchase all 40 bikes. If you find it in your heart to either donate a new bicycle or monies to the cause please reach out to me directly. This is a great opportunity to impact the children in our community. Best phone number for me is 864-593-5728. Email- dana.mcmahan@gmail.com. Thank you.